NEW! 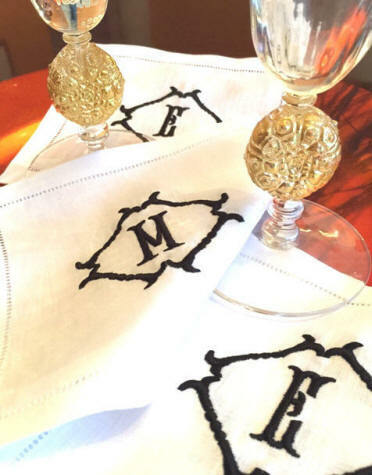 Our latest monogram features a beautiful frame with either a single initial or 3 letter monogram on hemstitch linen napkins, placemats, cocktail napkins and guest towels. 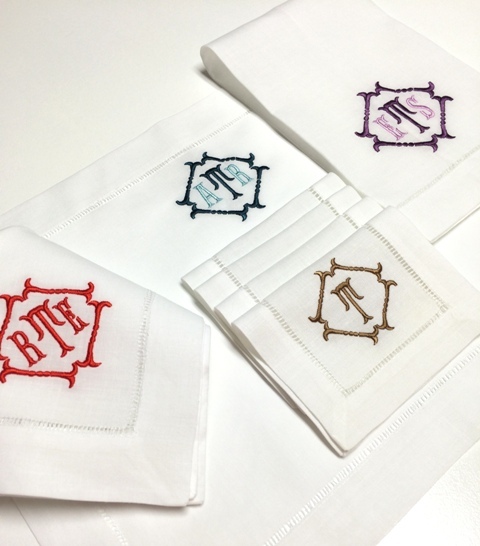 Available in any of our embroidery thread colors! 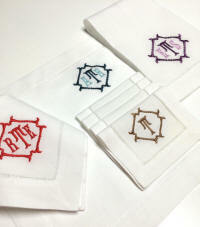 Arrives gift boxed with ribbon.